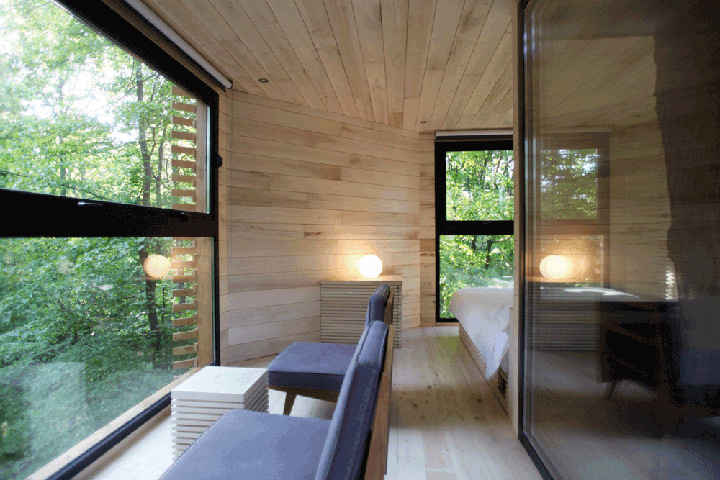 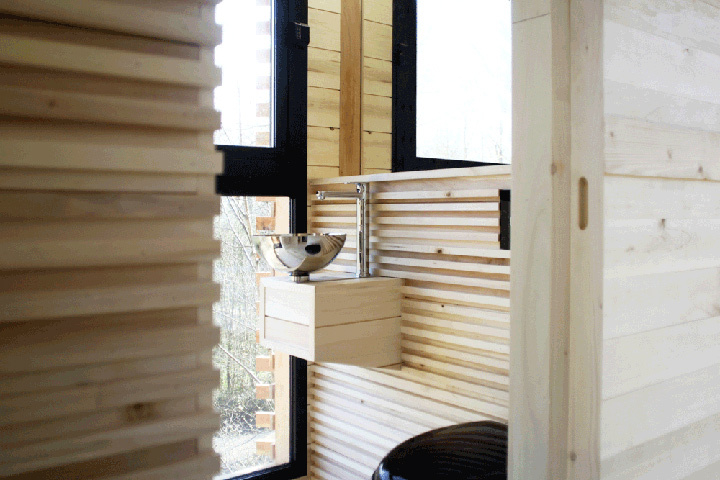 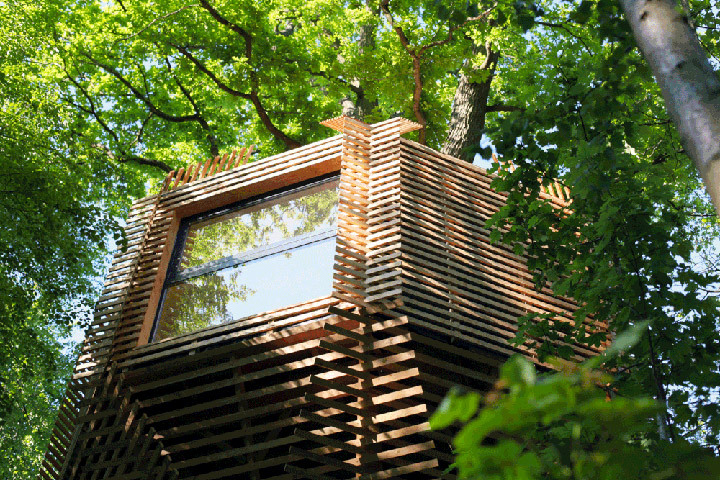 Paris-based Atelier LAVIT has created a tree-house that is inspired by a bird's nest. 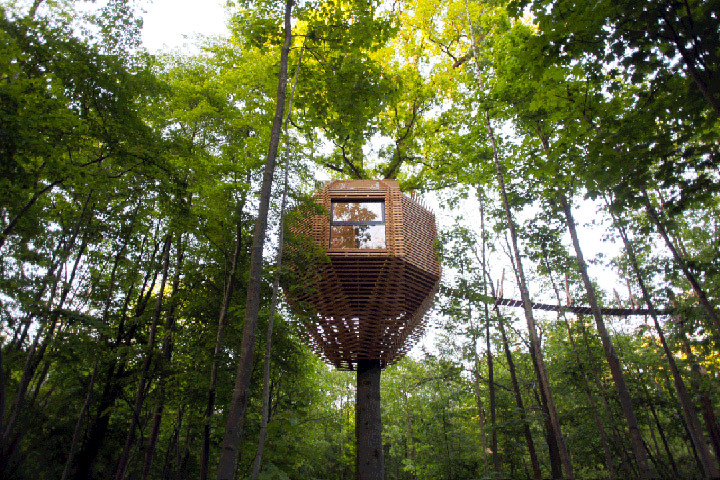 It is made as per the request of a client and located in in the forested grounds of Château Raray- a hotel in northern France. 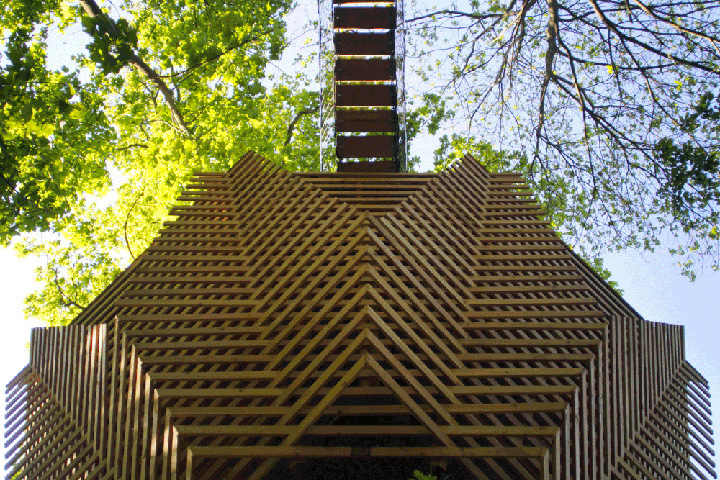 The team refers to the structure as a wooden dress because it elegantly wraps around an age-old Oak tree. 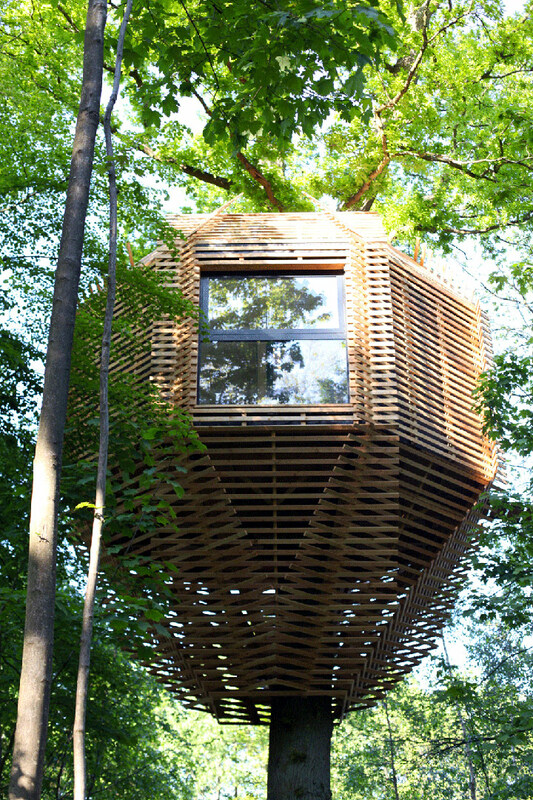 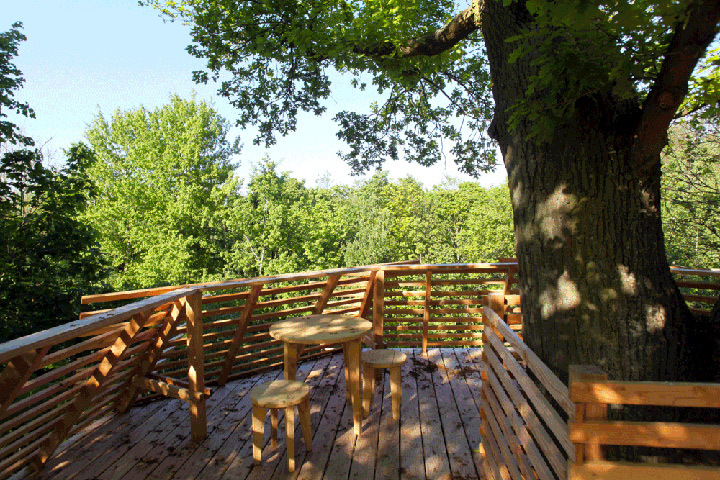 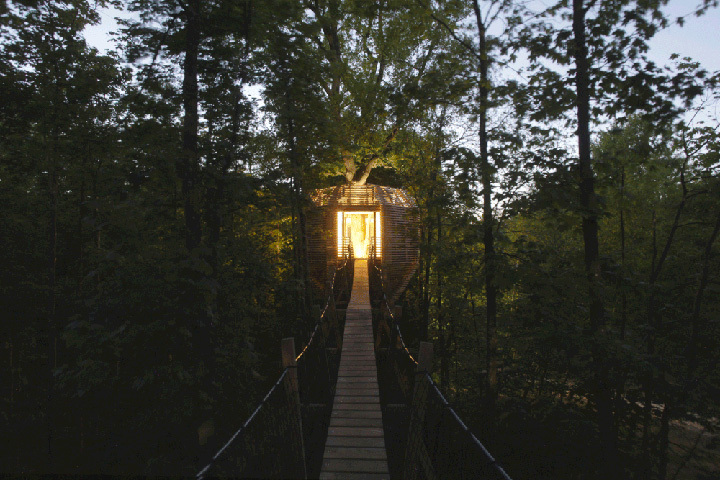 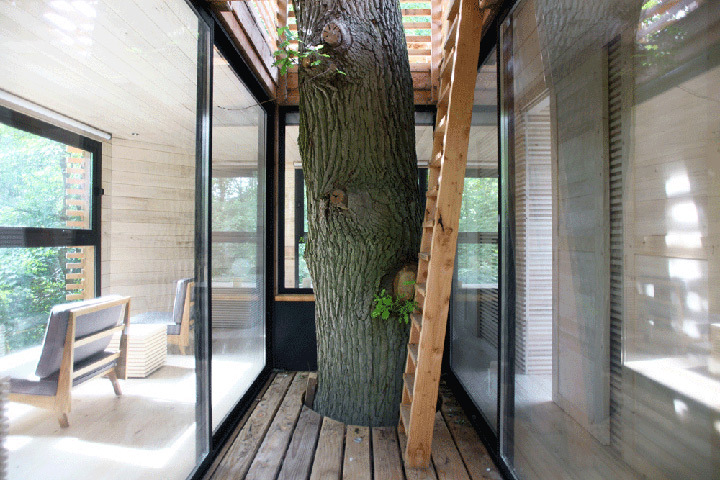 The tree house is created in an octagonal shape which can be accessed by a walkaway suspended 10 meters above ground. 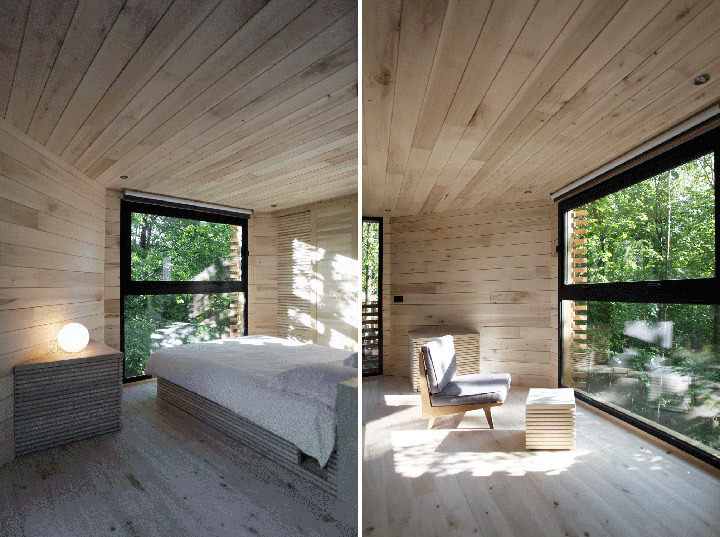 while, the entire design is constructed from criss-cross pattern staying true to its inspiration.